News organizations thrilled to exploit the information Manning uncovered are deeply afraid of being associated with the brave whistle-blower himself. Keep an American soldier locked up naked in a cage and driven half mad while deprived of all basic rights, and you will be instantly condemned as a barbaric terrorist. Unless the jailer is an authorized agent of the US government, in which case even treatment approaching torture will go largely unnoticed. Certainly if a likable constitutional law professor happens to be president, all such assaults on human dignity will easily pass muster. After being interned like some wild animal in that cage in Kuwait, Pfc. Bradley Manning was transferred to the Quantico, Va., Marine base and further subjected to conditions that his lawyer termed “criminal.” Not all that far from the White House, and yet our ever-enlightened president seems not to have noticed that this soldier, whose alleged criminal offense is that he attempted to inform the public of crimes committed in its name, has been held in an environment clearly designed to destroy his very sense of self. Who is that “enemy” other than the public that came to be informed about the true nature of the US wars in Iraq and Afghanistan by news reports based on a trove of documents allegedly made available to the WikiLeaks website by Manning? The documents were labeled secret, but as the many important news reports based on them revealed, they contained information that an enlightened public had a need and right to know. Yet for too many in the mainstream media, led by the example of the editors of The New York Times, the recent military courtroom proceedings where Manning’s lawyer finally got to document the government’s attempt to destroy his client was largely a nonevent. Conveniently so, given that the Times and other major news outlets that were thrilled to exploit the information that Manning uncovered are deeply afraid of being associated with the brave whistle-blower himself. Really? This is hardly just another legal case, for it goes to the heart of the First Amendment freedoms on which the Times has relied so heavily during its storied history. Manning is in the same position as was Ellsberg, who four decades ago leaked to The New York Times details of government lies and crimes in Vietnam. Both men had access to material classified as secret, but both believed they had an obligation to puncture the veil of government secrecy when it was employed to deceive the public. What is protected in the First Amendment is not the right of commercial enterprises to exploit the news for profit, but rather of citizens to become informed. 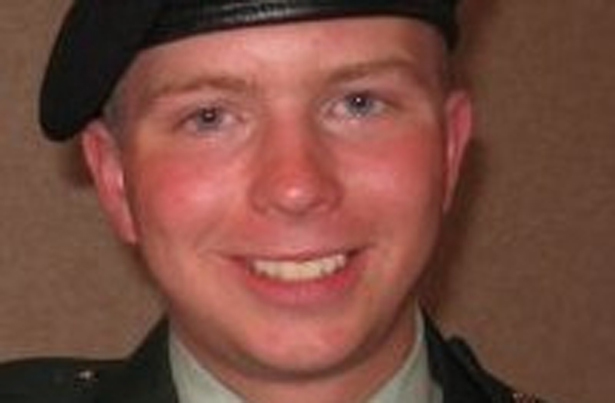 That requires the courage of heroic sources, including Bradley Manning. Three Nobel laureates wrote a salute to Bradley Manning for The Nation. Read it here.